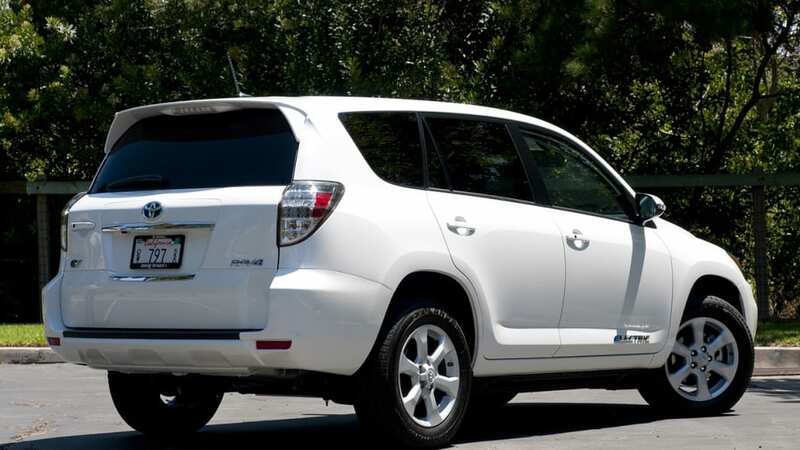 Autoblog rating for the Toyota RAV4 is not available. Please check back later. 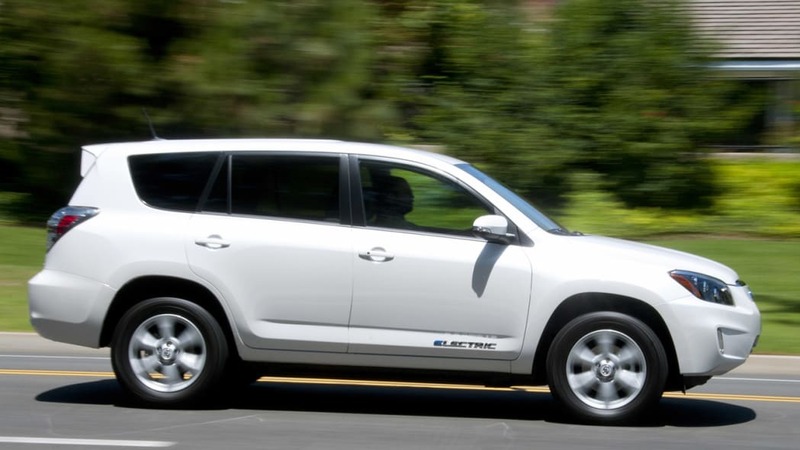 The 2012 Toyota RAV4 EV is the most advanced Alpha prototype electric vehicle we've ever driven. Or maybe it's a poster child for the 21st Century automotive industry where all sorts of new things are being tried, like when old-school automakers and ambitious start-ups find common purpose in rushing an all-electric crossover to market in two years. 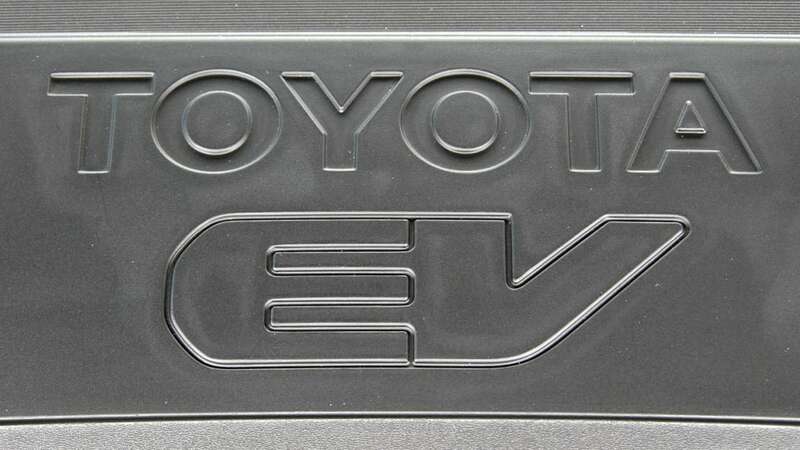 Or maybe it's the end result of a decade-long process of getting the Japanese automaker to bring back its popular – by EV standards, anyway – first-gen RAV4 EV for the new era of electric cars? 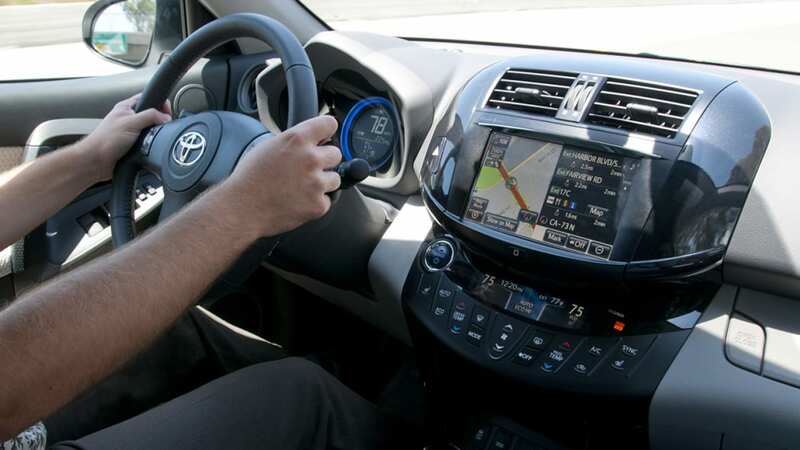 It is, of course, all of these things, and that's what makes the RAV4 EV such an interesting vehicle: It not only offers surprisingly good performance on the road, it can also tell you some compelling stories as you jump from 0-60 in seven seconds. In a CUV. With an easy-to-achieve 100-mile range. 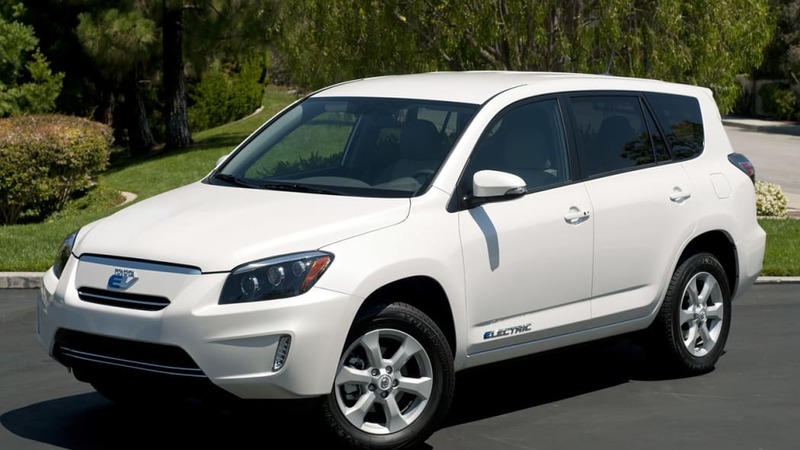 Most compelling, perhaps, is that the RAV4 EV is a real electric crossover with a real on-sale date. Namely, $49,800 (before any tax credits) and late summer 2012. 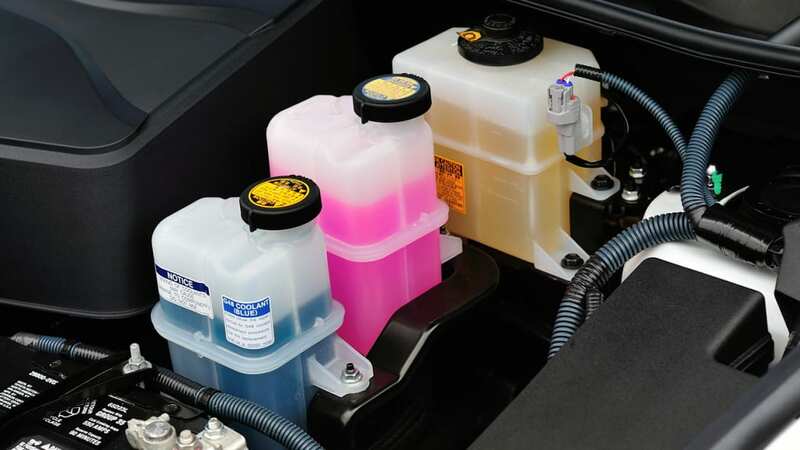 Of course, the problem, aside from the hefty price, is that this CUV will only be available – initially, anyway – in four major California markets: Sacramento, San Francisco Bay Area, San Diego and Los Angeles/Orange County. Since the RAV4 EV will go on sale in The OC (don't call it that), it made sense that Toyota brought journalists to Newport Beach for some time behind the wheel. If you're not interested in the technical details or the three story lines we saw represented, here's all you need to know. 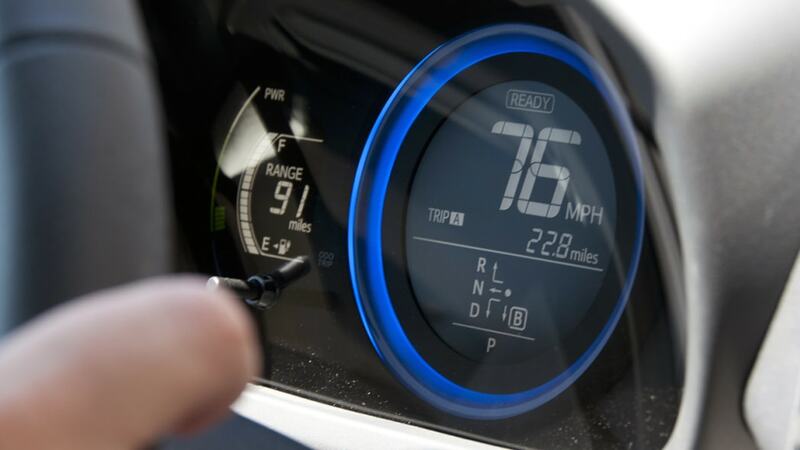 When we first put the RAV4 EV into Sport driving mode, our honest reaction was to say out loud: "Holy crap!" 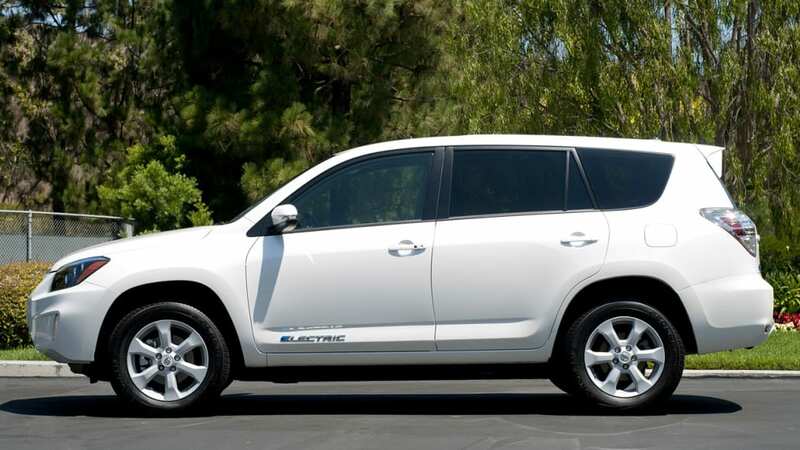 The second-generation RAV4 EV isn't really the second-generation at all. Toyota stopped making the original RAV4 EV in 2003 and there hasn't been much work done (publicly, at least) since then. 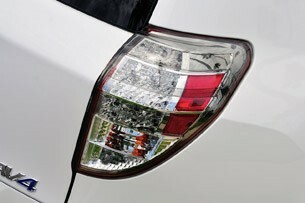 In fact, it is unlikely that the 2012 version would have come to pass had Akio Toyoda, the president and CEO of Toyota Motor Corporation, and Tesla Motors CEO Elon Musk not announced in May 2010 that they would work together on electric vehicles, with the RAV4 EV being named as the candidate vehicle in July. "People love SUVs and their current moral dilemma is the need for occasional versatility at the expense of everyday fuel economy." As we noted in our Quick Spin of an early RAV4 EV prototype last year, the project is a rush job. We saw the first prototype at the LA Auto Show in November and the first demonstration program vehicles were on the road in February 2011. 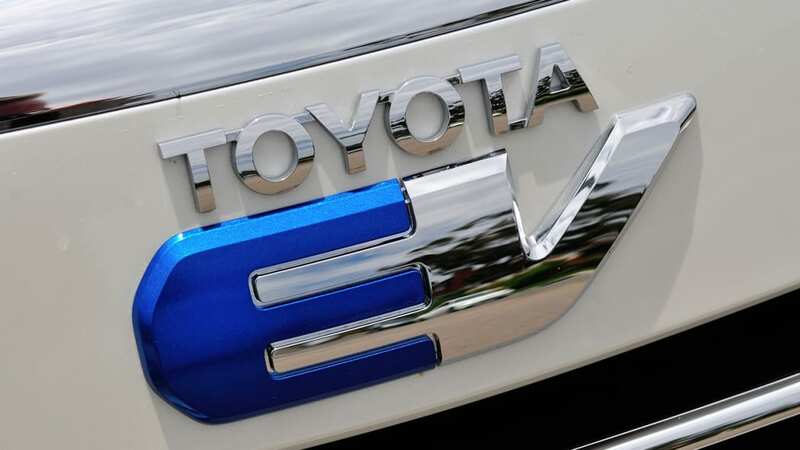 The frenetic pace doesn't mean that Toyota was first to bring an EV to the current market, just that the company was very clearly not interested in waiting any longer to offer something without a tailpipe. 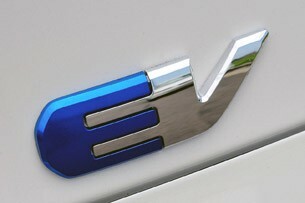 It also happens to be an EV unlike anything else on the market. 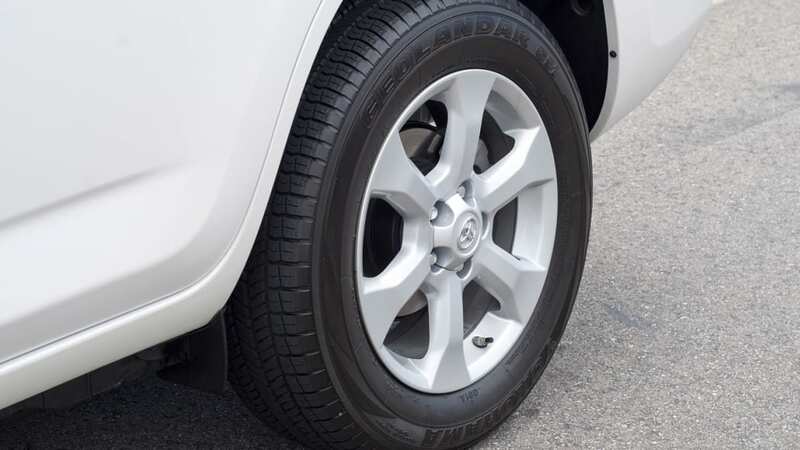 As Greg Bernas, chief engineer in the product development office (PDO) at the Toyota Technical Center (TTC), put it, "For us, the RAV4 was the obvious choice. 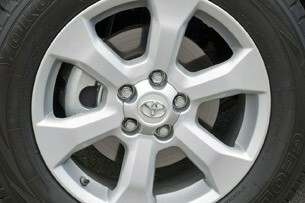 We knew there was a void in the product offering in the market, and the RAV4, we felt, fit that void perfectly. Also, people love SUVs and their current moral dilemma is the need for occasional versatility at the expense of everyday fuel economy. Not so with the RAV4 EV." 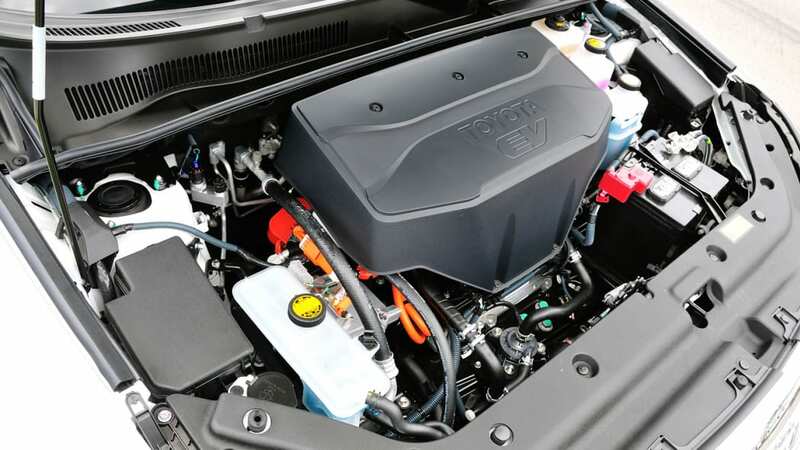 Since the summer of 2010, then, Toyota and Tesla engineers have worked to adapt the Silicon Valley powertrain into a RAV4 V6. 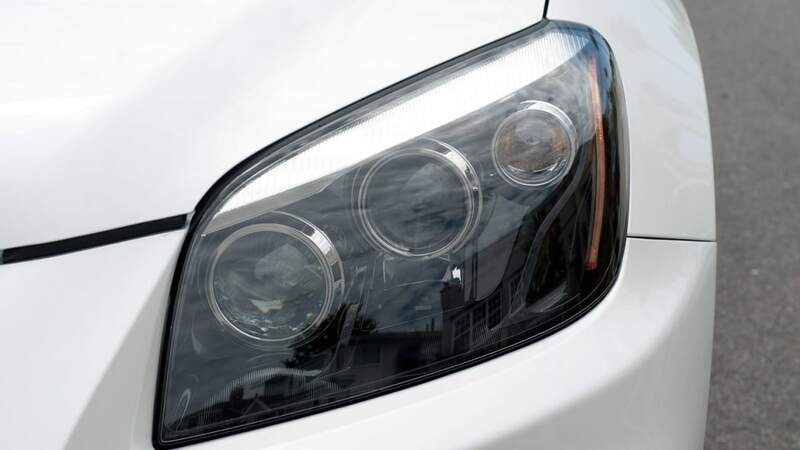 After deciding that Toyota would be in charge – originally, each thought the other would lead the development – the engineers started with a current-gen internal combustion-powered RAV4 and got to work. 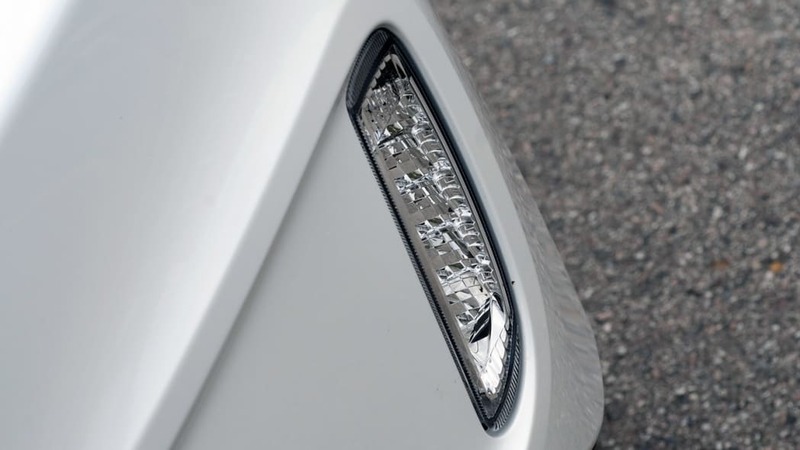 Snagging the long-in-the-tooth model means that, when the new version of that vehicles arrives, (possibly later this year), the electric version will retain the older styling. 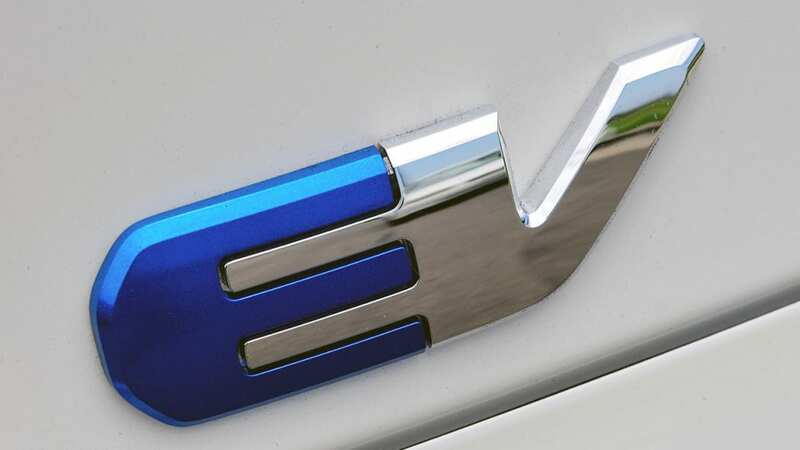 Right now, the EV has new exterior features that identify it as having rejected the gas-burning engine – things like a markedly different front fascia and grille, unique mirrors, light fixtures, a rear spoiler, as well as EV badging all around. The aero tweaks give the RAV4 EV a cD of .30, which Toyota points out is more like a sedan than your average CUV. All of the exterior's zero-emission chrome doesn't hide the fact that this is still a RAV4, it's just that this is a significantly more aerodynamic RAV4. 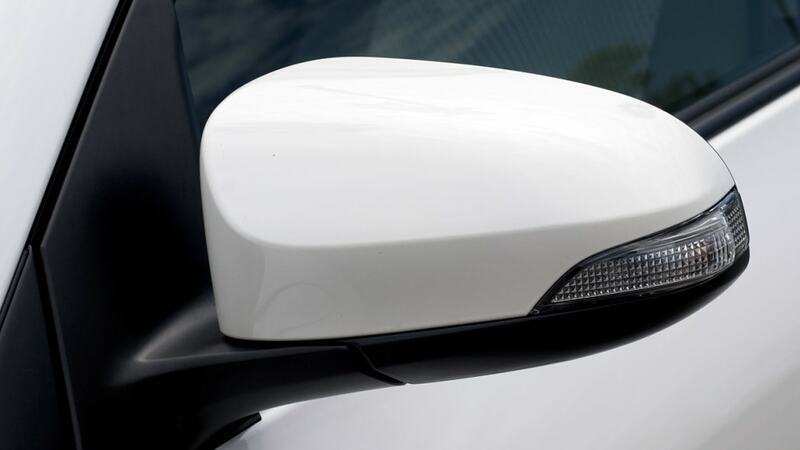 Those mirrors, for example, are styled after the Camry that's sold in Korea and reduce the coefficient of drag by 1.1 percent. 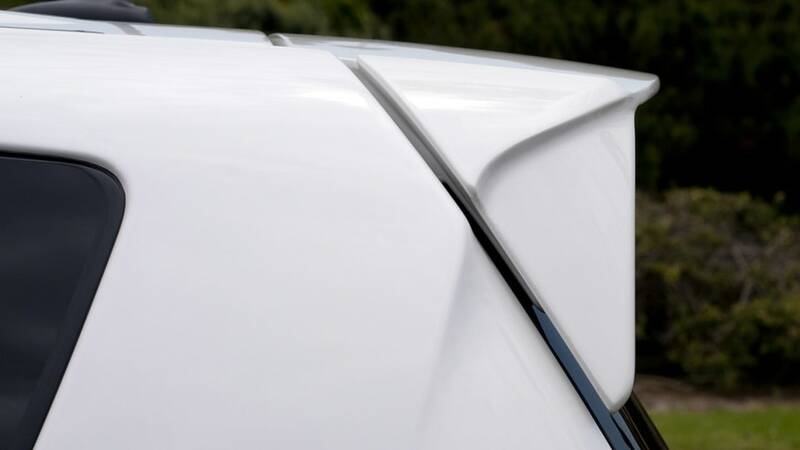 The rear spoiler? A 2.5-percent improvement. The smoother underbody, which is possible thanks to there being a battery there instead of a lot of mufflers and whatnot? An 8.2-percent improvement. All together, the aero tweaks give the RAV4 EV a cD of .30, which Toyota points out is more like a sedan than your average CUV. 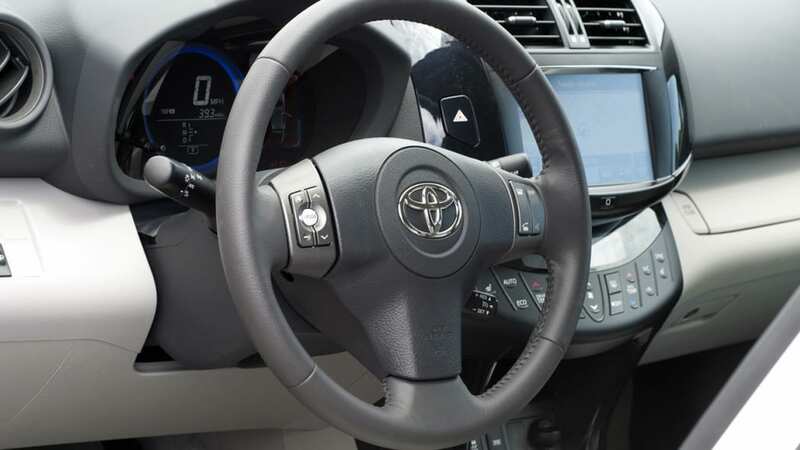 When asked why these sorts of little improvements were not added to the gas-burning RAV4, Toyota's Sheldon Brown, the executive program manager in the TTC's PDO department, said that it's not so simple. 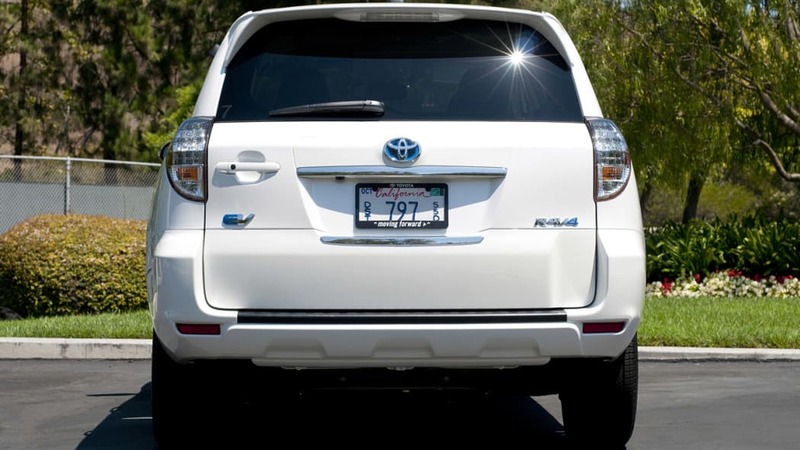 The underbody panels, for example, didn't need to be designed to deal with a hot exhaust pipe and so you can't just use the same plastic and shape on the ICE RAV4. The mirrors and rear spoilers, though? 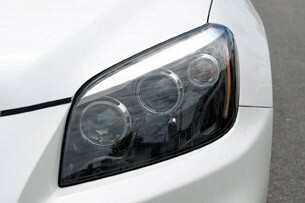 Those seem easy enough to use no matter what the powertrain, so we'll keep our eyes open when the new model appears. But the lesson here is clear: Make the vehicle as slippery as you can and the range will thank you for it. 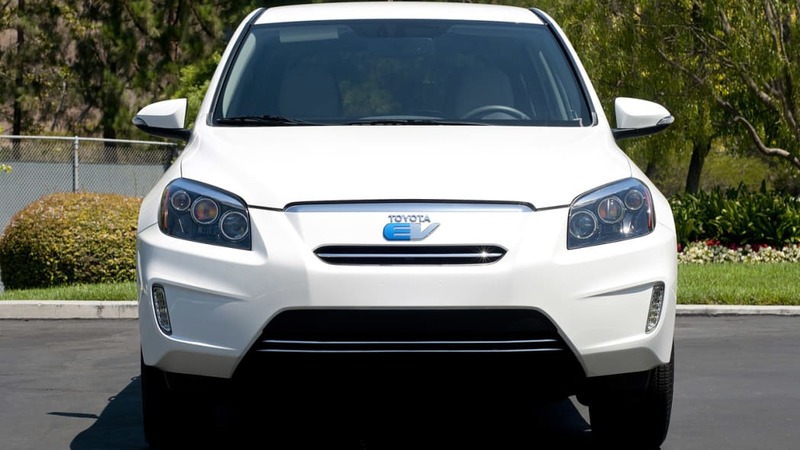 When Toyota unwrapped the RAV4 EV, it was proudly "powered by Tesla," and based on all of the discussions we had with Toyota representatives about the 100-mile-plus range of the RAV4 EV – thanks in large part to Tesla's 41.8-kWh battery – Toyota is still proud of the benefits it received out of the deal. 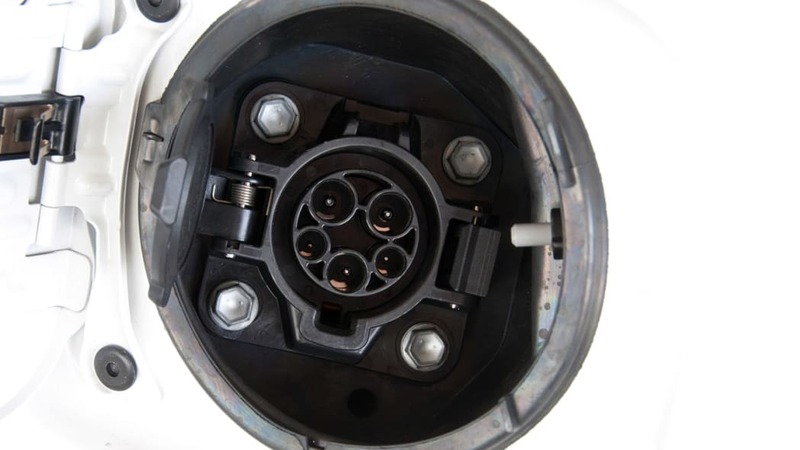 The RAV4 EV uses the same AC induction motor as the Model S with a different gear set. Does Tesla or Toyota come out the winner from this partnership? It's unclear. Sure, there's a case to be made that they are both winners, but if we had to guess, it kind of feels like Tesla might be getting the better deal. 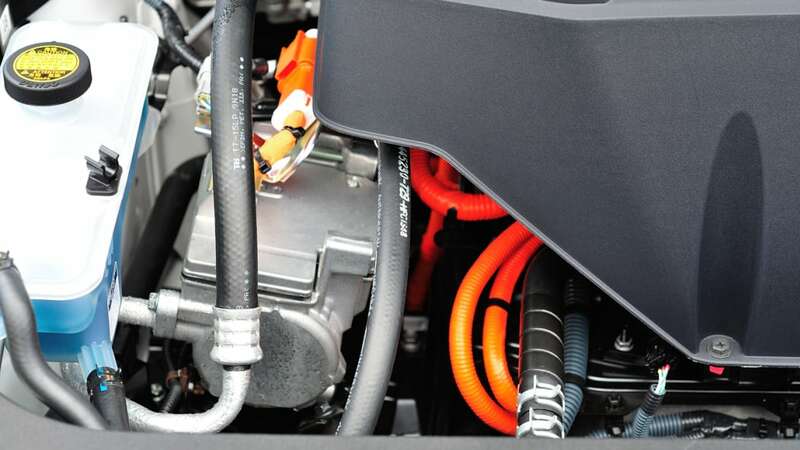 Toyota, which is also working on other cars with plugs – namely the all-electric Scion iQ EV (coming soon) and the Prius Plug-in (now available) – has learned about a different way to integrate a battery and how to develop an electric powertrain for a large vehicle. 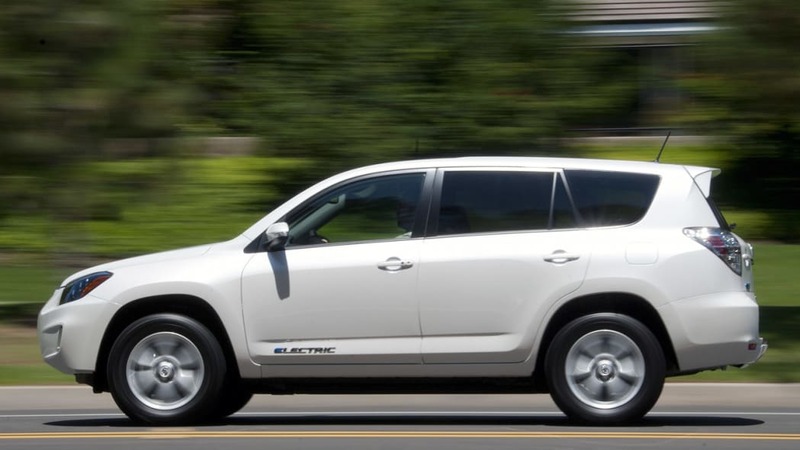 The RAV4 EV weighs 4,032 pounds, after all, compared to the ICE RAV4's range of 3,360 to 3,699 pounds, depending on trim level and engine, and weight kills efficiency. The aero tweaks, powertrain enhancements and low-rolling resistance P225/65R17 all-season tires all work together here to make up that difference. 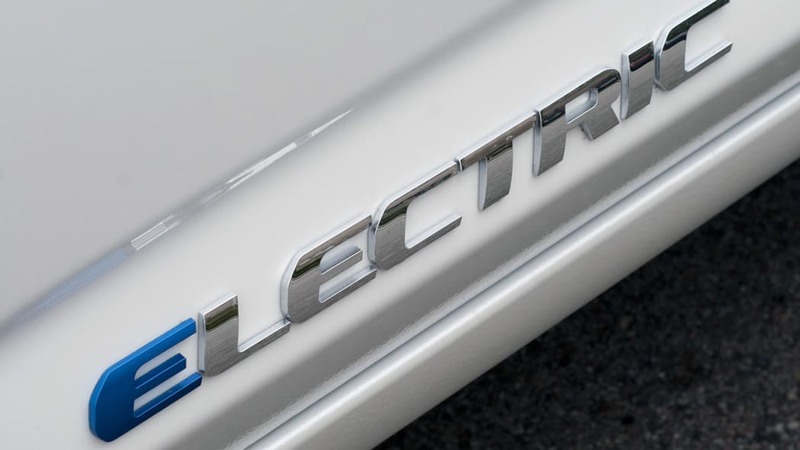 Tesla, too, learned something about making an electric CUV – the RAV4 EV uses the same AC induction motor as the Model S with a different gear set, for example, and the two companies jointly filed patents on the battery structure design to make the pack fit into the ICE platform – but when you look at the overall picture for the two firms, Tesla has more to gain. The company is currently developing the Model X CUV, which shares the Tesla Vehicle Platform with the Model S, and this is why we can look at the RAV4 EV as a sort of stealth test bed for the Model X, that we can see the RAV4 EV as a weird alpha prototype. The official line is that this is not the case. Christina Ra, Tesla's senior manager of communications, told us that since the Model X is, like the Model S, built from the ground up to truly leverage the EV powertrain, "It's safe to say that the experiences of developing Model S and RAV4 EV were very different – and both very successful – for Tesla. Model X development will follow suit more closely to Tesla's experiences with Model S."
But the evolution of the Model X is a story for another time. 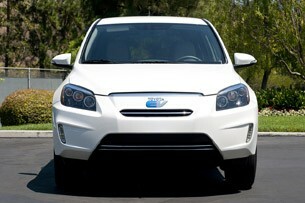 Today, the focus is on the RAV4 EV, and what it's like behind the wheel. As we said, "Holy crap." 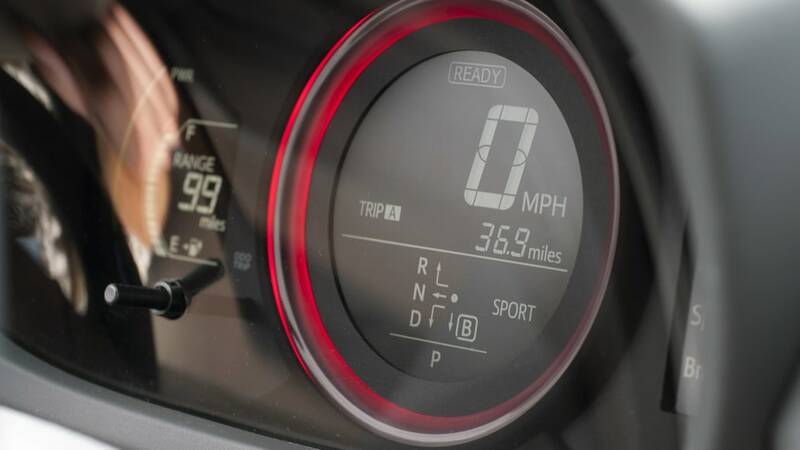 Click over to Sport mode, where the dash turns red and the top speed climbs to an impressive and illegal 100 mph, and you won't notice the noise. Those were the words of my driving companion for the day, Autoblog writer Michael Harley (who is more used to testing 500-horsepower gas-guzzling supercars than electric CUVs) uttered the first time he engaged Sport mode and accelerated. 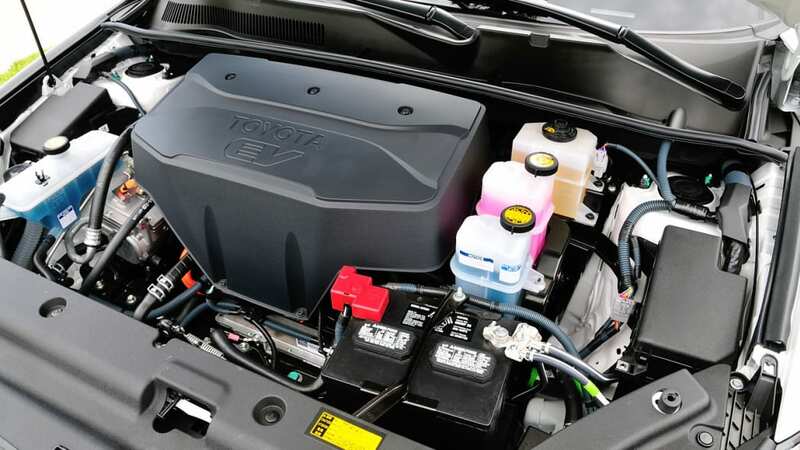 His words don't mean the RAV4 EV – with a motor that has a maximum output of about 115 kW, or around 154 horsepower – was as quick as a supercar, but the 0-30 miles per hour performance certainly exceeded the expectations of a veteran road tester not used to the instant torque of an electric vehicle. That is, at least in Sport mode, with its 273 pound-feet. In Normal mode where the 0-60 time drops to 8.6 seconds, max torque falls to 218 lb-ft and top speed is 85 mph, people would likely assume it was just a surprisingly powerful ICE CUV if you didn't tell them the car was electric. A quiet one, with just a hint of road noise in the rear, but nothing that's overly bothersome or that can't be overcome by turning up the radio. 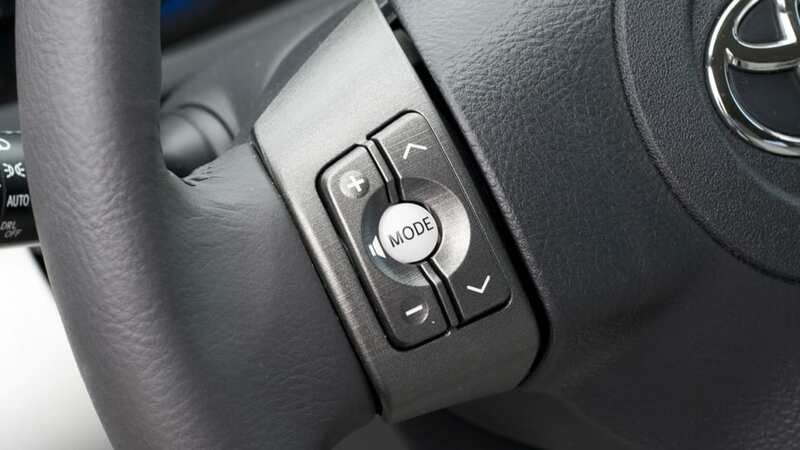 Click over to Sport mode, where the dash turns red and the top speed climbs to an impressive and illegal 100 mph, and you won't notice the noise. 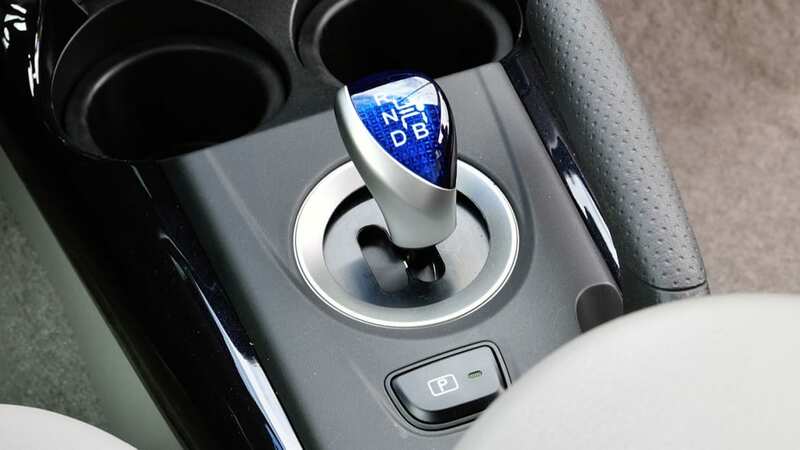 Shift from D to B for extra braking power – which brings back the enthusiastic regen of the prototype – and it might just be the most fun you can have using just one foot, outside of a Tesla-branded vehicle, of course. 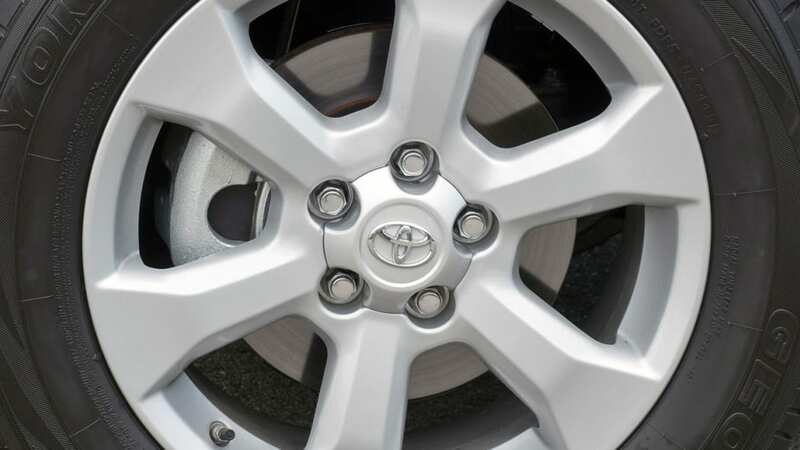 The front-wheel drive RAV4 EV uses blended braking, with regenerative brakes to capture energy and hydraulic brakes that kick in when the force required to stop the CUV exceeds the ability of the regen brakes. When in D, this is all transparent and feels like an ICE vehicle. The truth is, the RAV4 EV can almost be too fast. We managed to keep it roughly at the speed limit – mostly because we were boxed in by southern California traffic on the highway – but we heard multiple reports from other drivers who were shocked to realize they were going over 90 mph. 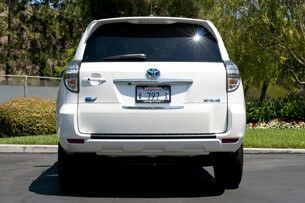 The quiet smoothness of the RAV4 EV easily hides this. This is why we're pretty sure that Toyota would sell more of these if it lets people test the Sport mode out for themselves. Well, it would if the beancounters had any faith in this EV (they don't), but we'll get into that below. If you're prone to range anxiety, then "max range" is your comfort number. 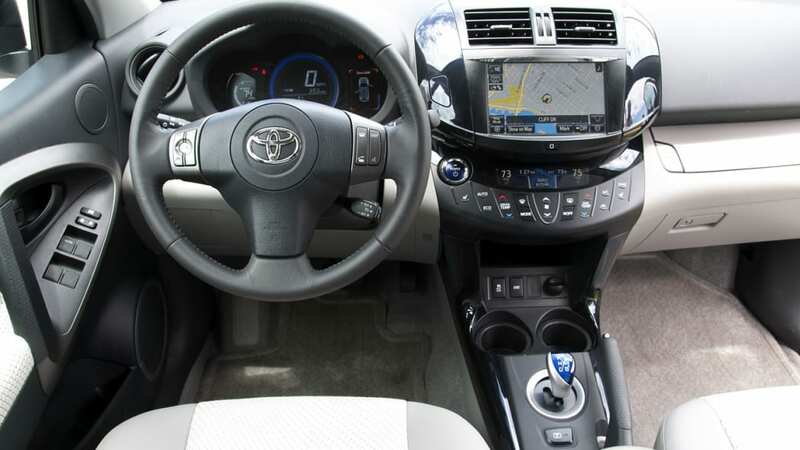 From the test drive position, the RAV4 EV steals from the Prius (the shifter is lifted from the third-gen hybrid model) and like many modern vehicles that have gone on a knob-diet, it has lost tactile input devices in favor of a touchscreen (for navigation, music and apps) and capacitative touch switchgear (HVAC controls). As much as we like what these screens show us, we still feel that physical buttons beat touchscreens any day of the week, any hour of the day. Also, the smudge-loving glossy panels to either side of the screen need to go. 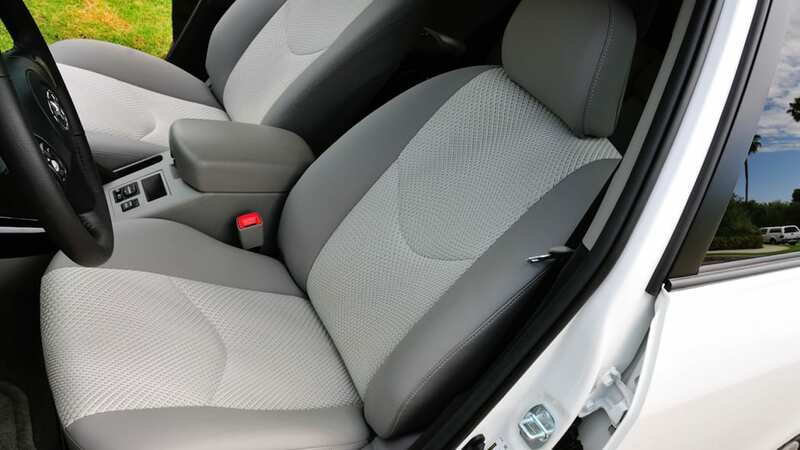 Even with these complaints, the new center stack does wonders to update the look of the inside of the RAV4; the ICE model's interior has been around since 2005, a painfully long time in such a hot segment. Toyota has done something interesting with the "miles to empty" display, and that is to give you two numbers. 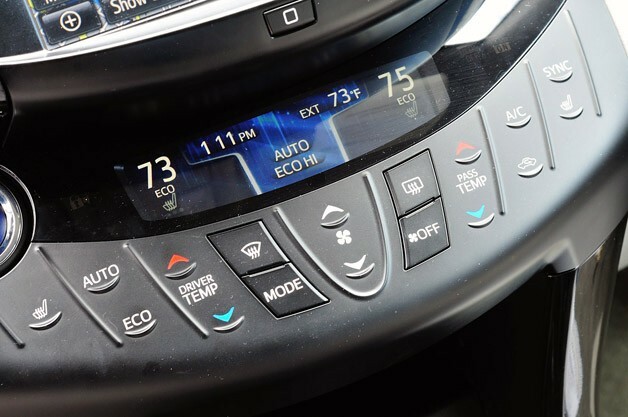 The first, the one you'll use most of the time, is how many miles you'll be able to go if you keep up your current driving style and HVAC settings. The second, the one you'll never use until you really, really need it, is the "max range." That is, if you turned off the A/C or heater and drove like there's an egg under the acceleration pedal, how far could you go? If you're prone to range anxiety, then this is your comfort number. These two numbers give rise to two differently shaded circles on the navigation map screen when you ask the vehicle how far you'll be able to drive. After you select between one-way and round trip, the screen shows you a rough estimate of just how far away you could end up from where you currently sit. 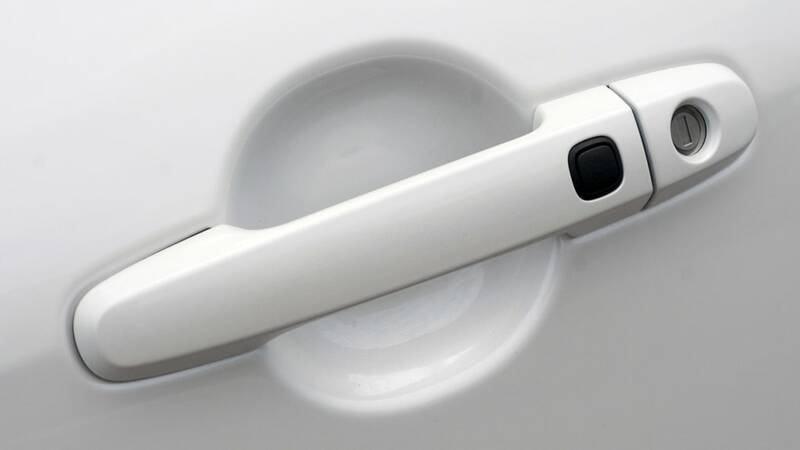 If your destination is in that target area, especially in the lighter, inner circle, start driving and don't worry about range, emissions or finding time to gas up. 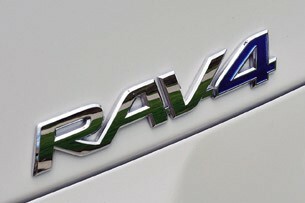 Official EPA estimates are not out yet, but the RAV4 EV appears to be a true 100-mile electric vehicle. It can be kind of fun to play with this map and the HVAC settings to see how much your range changes based on how quickly you want to get hot or cold. There are four HVAC modes: Normal, Eco Lo, Eco Hi and off. Off gives you max range and Normal the least. The two Eco modes split the middle, and we were perfectly comfortable with Eco Hi (the more efficient of the two) during our drive. So, how much range is in the battery? We started our drive with a full battery and the max range read 155 miles. We then proceeded to run around The OC (don't call it that) on a day with temperatures in the high 70s with the air conditioner on Eco Hi and spent most of the time in Sport mode – why wouldn't we? – and, after 40.5 miles in the city, highway and going up and down hills, our max range was still 92 miles. The EcoCoach said we scored a poor 68 out of 100, and our "keep driving like this" range estimate was just under 70 miles. Official EPA estimates are not out yet, but based on our limited testing, the RAV4 EV appears to be a true 100-mile electric vehicle. 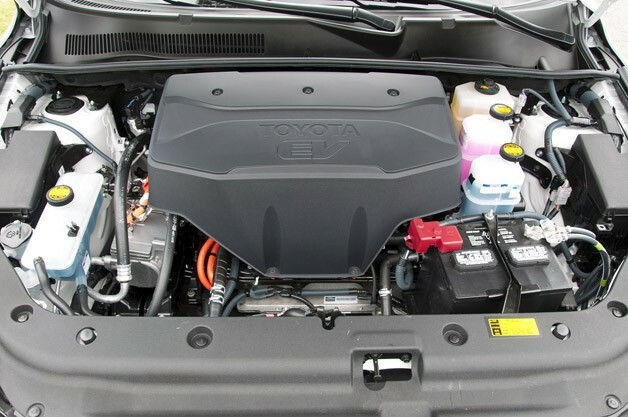 Toyota will warranty the battery for eight years, 100,000 miles. It can be, at least. 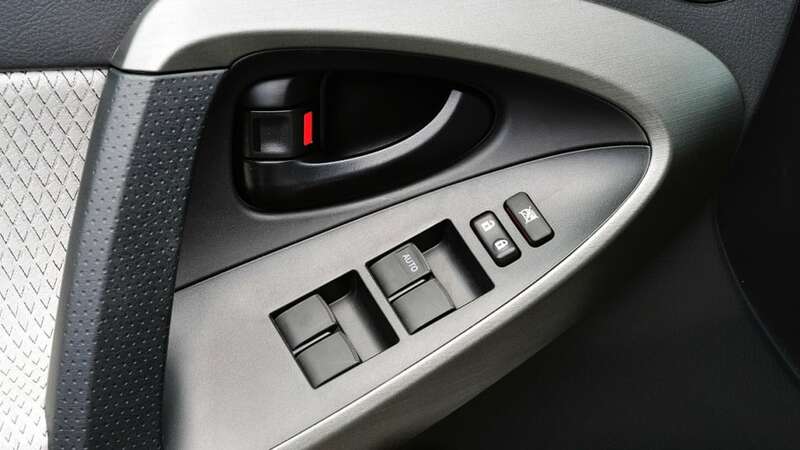 On top of the driving modes and the HVAC modes, Toyota also offers two charging modes, standard and extended. 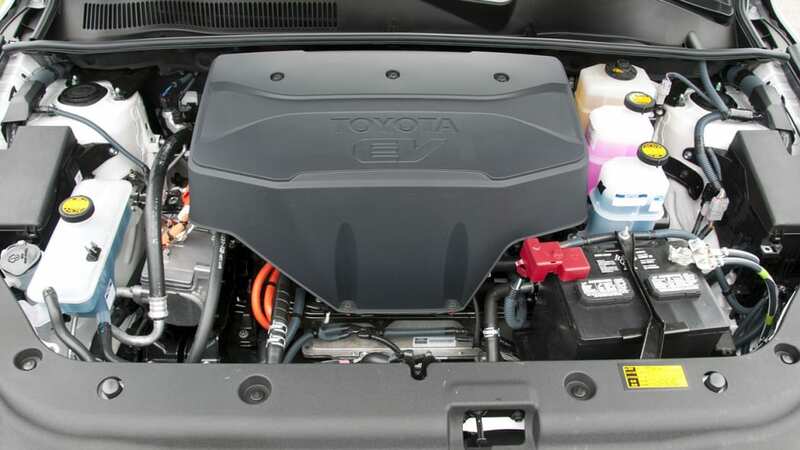 Toyota has partnered with Leviton to offer a 40-amp home charging station (lower amperage versions are also available) for $1,590 installed, but the RAV4 EV does not have a DC fast charging option. 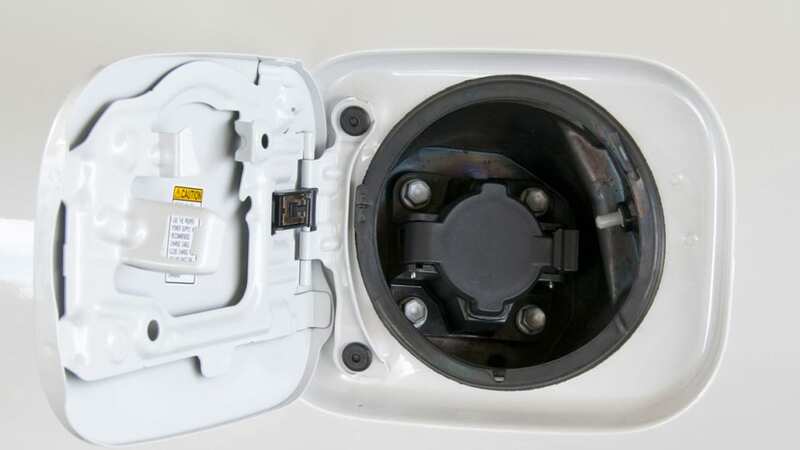 Standard charging, which is what Toyota recommends people use most of the time and only charges the pack to 35 kWh full, should get a 92 mile-range estimate from the EPA. 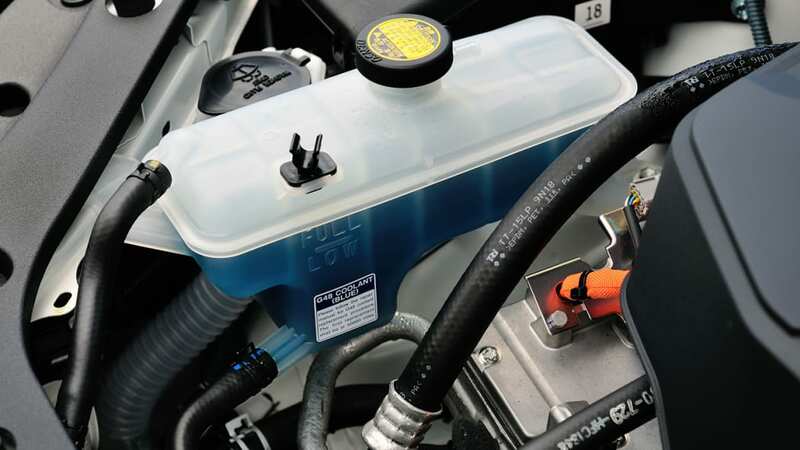 This will take as little as five hours when using a 40-amp, 240-volt system. Extended uses the whole 41.8 kWh and would get 113 miles from the EPA, taking six hours to fully charge. Lower output charging stations will obviously extend this time, and with a regular 120-volt home outlet, it would take over 44 hours to fill an empty battery. 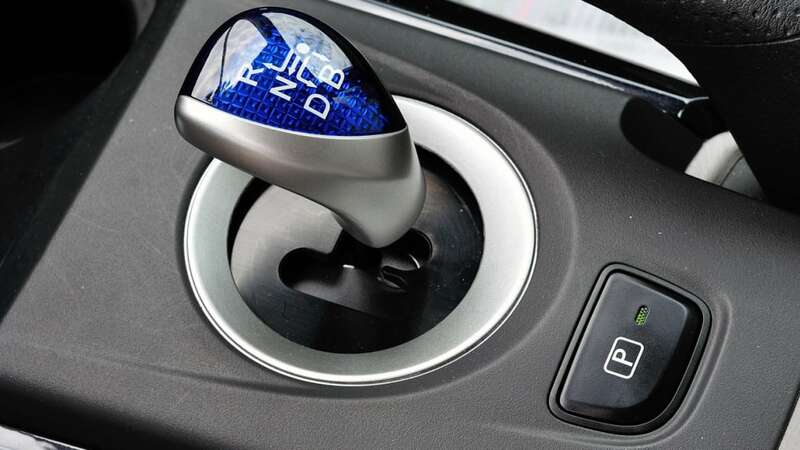 As for the RAV4 EV's final EPA range number, it will be a blend of these two modes. 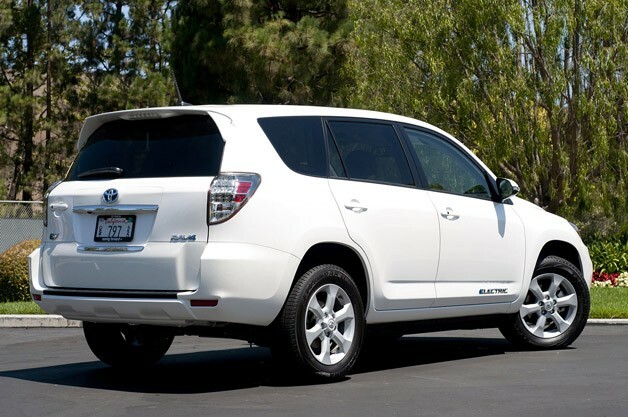 No matter which mode you charge in, Toyota will warranty the battery for eight years, 100,000 miles. 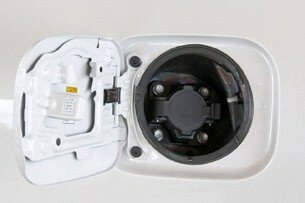 Both the standard and extended mode use the 10 kW on-board charger. Did we mention there's a smartphone app? Which brings us to the big picture. 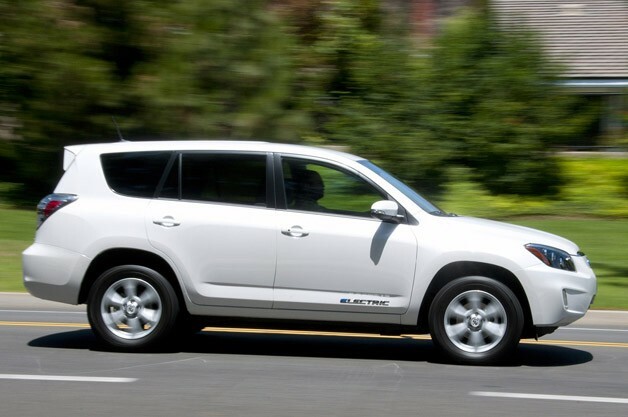 A decade ago, Toyota was selling a RAV4 EV that was based on the gas-powered RAV4, got around 100 to 120 miles of range and had a top speed of 78 mph. 450 of those vehicles are still around. We've been in them. Owners love them and have been asking the company for years to offer them again, even though the old RAV4 EVs still work great. 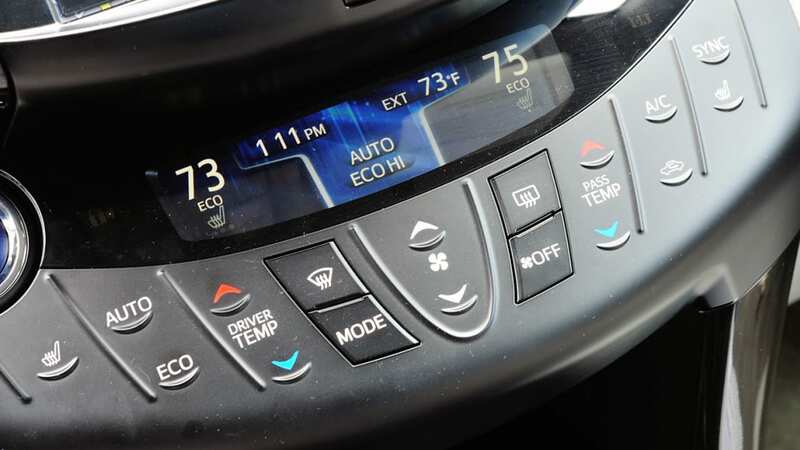 Around 2,000 hand raisers have already said they'd like to know more about the 2012 RAV4 EV. Rear cargo space is unchanged at 73 cubic feet behind the front row with the rear seats folded down. Today, Toyota is getting ready to sell an electric CUV with almost the exact same specs as the one from 2002. Sure, so much has been updated and changed that it's not entirely logical to call this the "second-gen" model, but there it is. 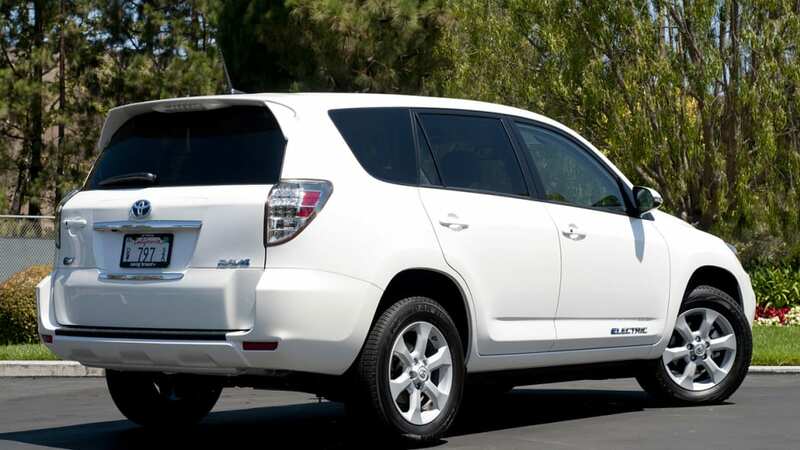 Plus, some of specs that everyday drivers care about are similar to the current ICE RAV4, too. Rear cargo space, for example, is unchanged at 73 cubic feet behind the front row with the rear seats folded down. The RAV4 EV seats five and there is even that little extra cargo cubby in the floor behind the rear wheels. If we're right that this is going to be a popular EV, then Toyota is going to need to revamp its production plans. Right now, the agreement with Tesla is for 2,600 vehicles over three model years. If this were to really take off, Toyota will have to sit down with Telsa and see if it's possible to build more. And Tesla's already busy with ramping up Model S production, getting ready for the Model X and more. 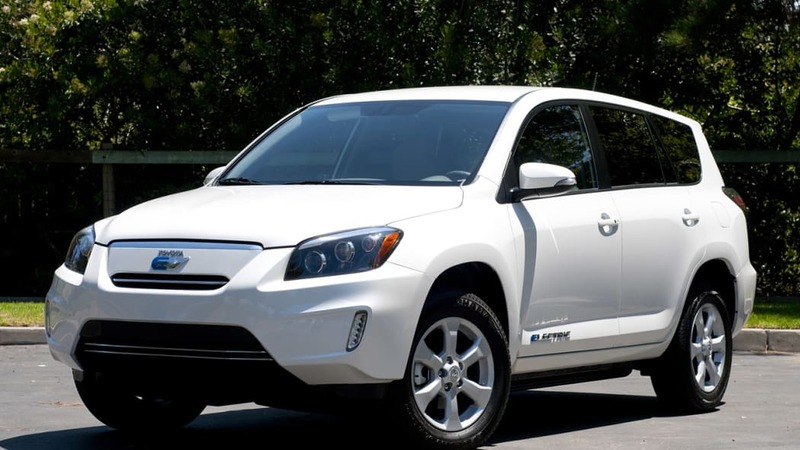 "Will the RAV4 EV help us meet our compliance requirements? Absolutely. Did we create a barebones EV just to earn credits for the mandate? Absolutely not." For whatever reason – and it probably has more to do with how much money will be lost on each one sold than anything else – Toyota is being conservative with its sales approach, trying to target the exact same high-earners, green-minded in California that have already been bombarded by ads for the Leaf and Volt. 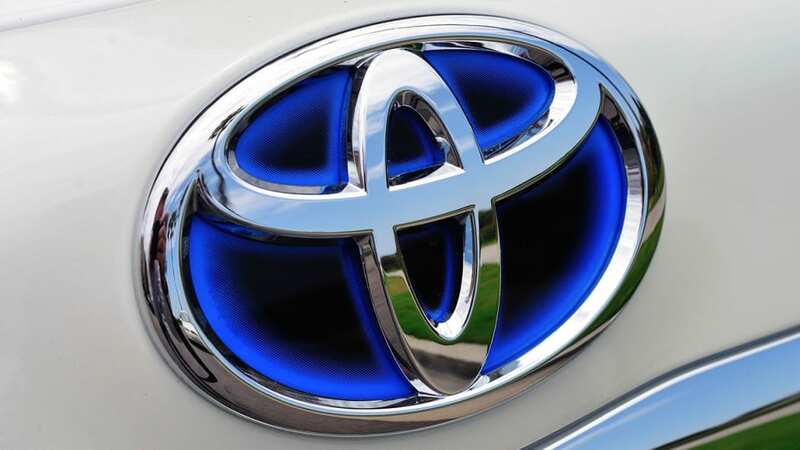 Toyota calls its sales plan "measured and focused." 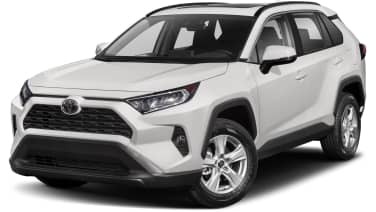 Sure, the CUV offers more room than either of those vehicles, but why the initial sales markets don't include CUV-happy green places like Seattle or Portland mystifies us. 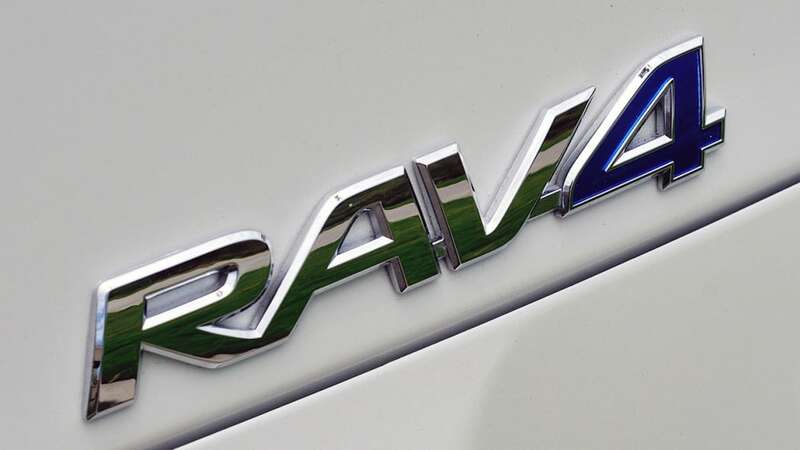 Bill Fay, group vice president and general manager of Toyota Division at Toyota Motor Sales, says Toyota had four goals to fill with the RAV4 EV program. Three are vague, feel-good items: "environmental leadership," "develop a unique electric vehicle" and to fulfill the Toyota-Tesla partnership. 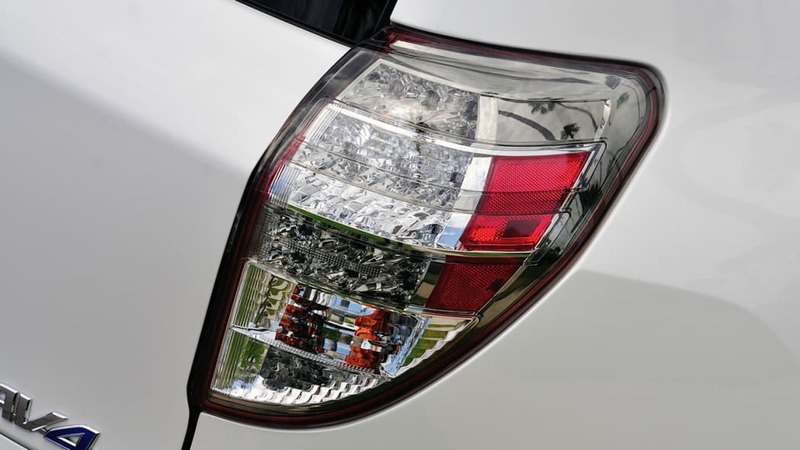 The fourth, though, is telling: to meet Toyota's California zero-emissions vehicle mandate. He said, "Some people have called the RAV4 EV nothing more than a compliance car... will the RAV4 EV help us meet our compliance requirements? Absolutely. Did we create a barebones EV just to earn credits for the mandate? Absolutely not." Unlike when the new RAV4 EV was unveiled in May, Toyota representatives were a bit more open to the idea that 2,600 might be the starting point, not the ending number, and we heard a lot of things like, "We're still going to find out what the market for EVs is," and that the initial response is a "positive first step." It seems wasteful for Toyota and Tesla to spend all this money and engineering effort on just 2,600 electric vehicles, and it will be tremendously interesting to see how the market reacts to the first real all-electric CUV of the 21st Century.